The CBSE, in a latest notification released, has mentioned changes in Class-XII English paper for the session 2018-19. While the decision is based on the feedback received from the various stakeholders and subsequent deliberation in the meetings of Committee of Courses of the Central Board of Secondary Education or CBSE and subject experts, the number of passages has been reduced to two. The typology of questions changed. Two passages - 5 MCQs, 9 very short answer type questions, and 3 short answer type questions from passage one. The total number of questions has been reduced from 24 to 19 in case of section A. Marks alloted for Section A is 30 marks. Total number of questions in the question paper has also been reduced from 40 to 35. The board has also revised marking scheme. 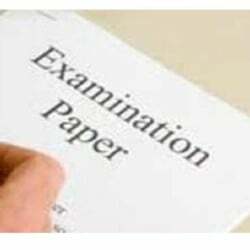 Students appearing for the exam next academix year should go through the pattern of the question paper available on the CBSE's official website. CBSE has started the online registration process for the class 9 and class 11 regular students. While registartions can be done online via CBSE's official website, students should keep in mind that Aadhaar card is not mandatory. The last date of applicatio is October 22. Step 2: Click on Online Registration for Academic Year 2018-19 option. Step 3: Read the instructions and register accordingly. CBSE has decided to hold exams for Skill Education (Vocational) and related subjects in the second half of February for the ensuing Board exams of Classes 10 and 12 to be held in 2019. The Department of School Education will use advanced technology from next year's CBSE examinations to check incidents of question paper leak, Union School Education Secretary Anil Swarup had earlier. "The Secretary of Education has appointed a committee to explore how technology can be used to prevent any recurrence of such a situation," Swarup said.